This two-piece set is the best team since Shaq and Kobe. 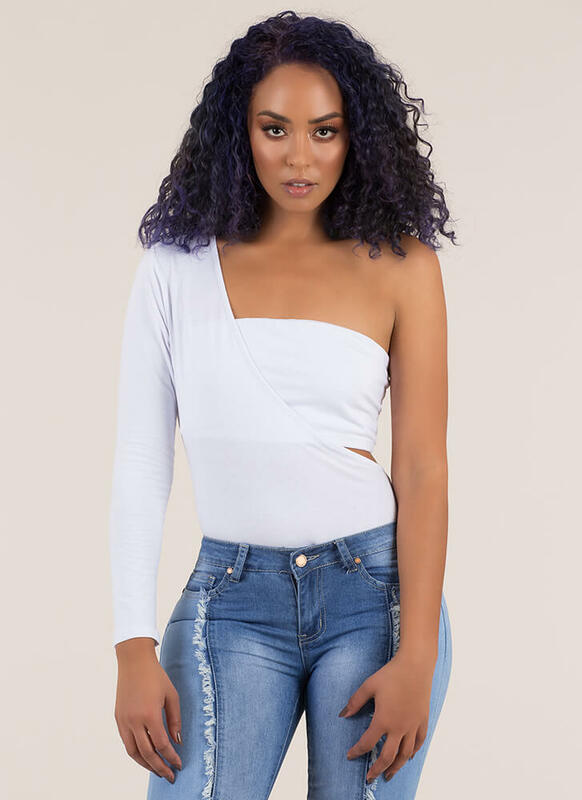 Stretchy, lightweight, two-piece cotton bodysuit features an asymmetrical, one-shoulder, cut-out design -- a bandeau-like cropped tube top under a diagonal-cut bodysuit with a single long sleeve. Bodysuit is finished with double snap button closure at the crotch for easy on and off.